Stainless steel ring in dark blue colour with softly grounded and rounded surface. By buying this product you can collect up to 2 points as a voucher of £0,34. Your reward points. 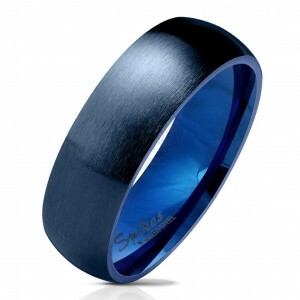 Stainless steel ring has a dark blue colour. The surface of the band is matte and slightly rounded.